Cast Iron Skillet Low Sugar Apple Pie As you know I love cooking in Cast Iron Skillets. I own a ton of them, including two pots or as some may call them, my cauldrons. Usually, I like to fix filling and hearty meals in my iron skillets, but today I wanted to create another dessert…. 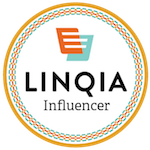 This post was sponsored by Libbey as part of an Influencer Activation for Influence Central. I received complimentary products to facilitate my review. Entertaining The Easy Way! 2 Must-Have Recipes I love Entertaining! Whether it be for the holidays or for every day. I love being able to set a mood that fits my guests….